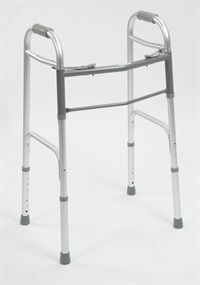 Folding Bariatric Walking Frame For Users Up To 28st. 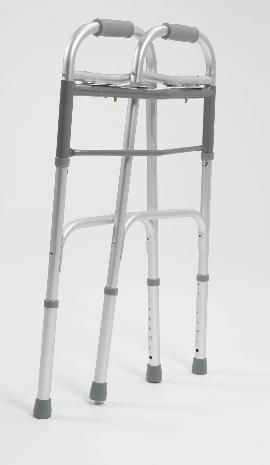 A folding bariatric walking frame. It’s extra wide to accommodate all shapes and sizes comfortably. It also has a higher than usual weight capacity, so will be able to easily support up to 28 stone. The durable construction makes sure that the user feels both stable and comfortable when using, and is suitable for both indoor and outdoor use. Its features include ferrule tipped legs that help eliminate slipping accidents while keeping you safe. And the handles have been designed to make sure that they are as comfortable to grip as possible. It’s strong too – made from lightweight aluminium tubing – and its excellent folding mechanism allows easy transport and storage. 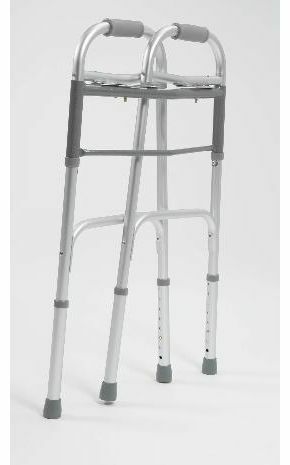 If you’re looking for a foldable bariatric walking frame, you can’t get much better than this.